Lyft began as a rideshare company powered by a smartphone app which offered two car services; A standard Lyft, as well as Lyft Plus. Before long, an innovative & inexpensive carpool ride option called Lyft Line was launched as well (August 6th 2014). If you have more than 4 passengers in your group (including you! ), you require the extra trunk space for your luggage, or if you would just like to have more space, then Lyft Plus is the car service is for you. Choosing this car option when requesting a ride through the app will send a driver with an SUV that can comfortably carry at least 6 riders, yourself included, to pick you up and take you to your destination. While it can be compared to the uberXL car service, if you compare it to the Uber rates you'll quickly see the difference. 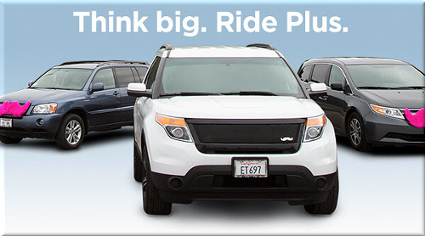 If you have a qualified vehicle meeting the requirements above, you're at least 21 years old & have a clean driving record; We'd love to have you as a Lyft Plus driver! Simply complete the driver application to get the ball rolling and start making great money. It's quick!